Crompton from ERA offer a full range of Door Furniture and Ironmongery. Here at locktrader we supply crompton hardware that is more towards locking than fixing, with locking product such as gate lock and garage bolts. 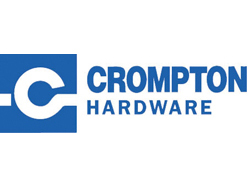 Crompton hardware is available in a range of styles such as plain or twister and finishes, black and galvanised.